PBIS, which stands for Positive Behavior Intervention and Supports, is a team based, systematic approach in teaching behavioral expectations throughout the school. It is based on a proactive model which teaches the behaviors, reinforces and recognizes students who are able to model these behaviors and has systems in place to support students who have a difficult time or may present with more challenging behaviors. 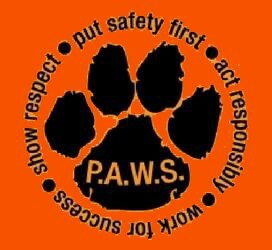 Behavior expectations will be taught and related back to the P.A.W.S. Matrix. Every person who works in the school is aware of the behavioral expectations and works to ensure students are consistently getting the same message, regardless of the setting they are in or the adult they come in contact with. To further help ensure consistency with the system, the staff will also use the Sequence of Steps for Giving Requests. This sequence is meant to eliminate any power struggle that might otherwise occur and define what actions the adults should take when a student is noncompliant with a request.